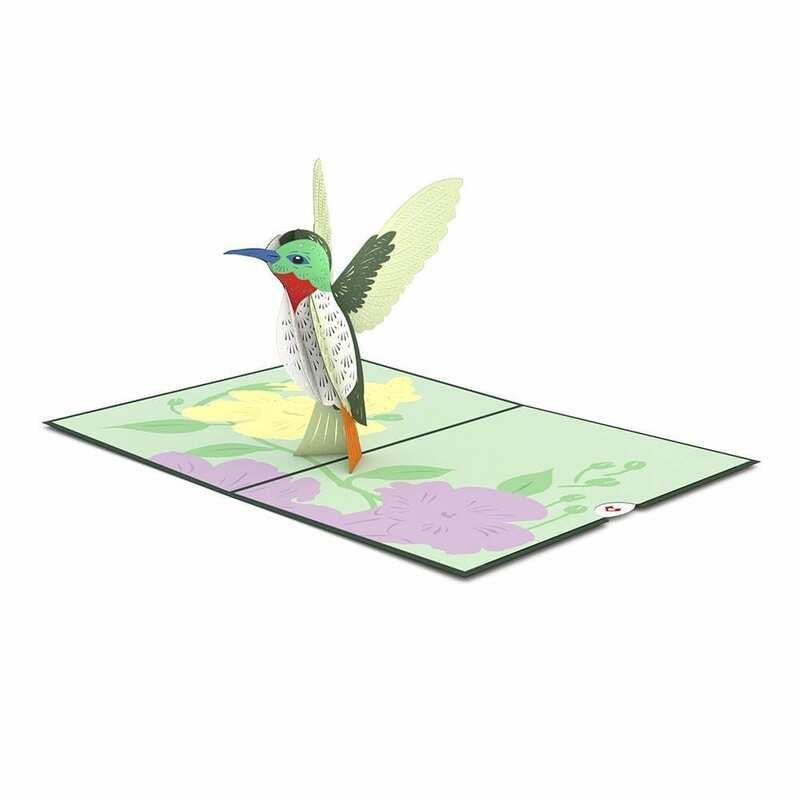 The Hummingbird pop up features a forest green cover laser-cut with a light green hummingbird hovering above a pink honeysuckle. 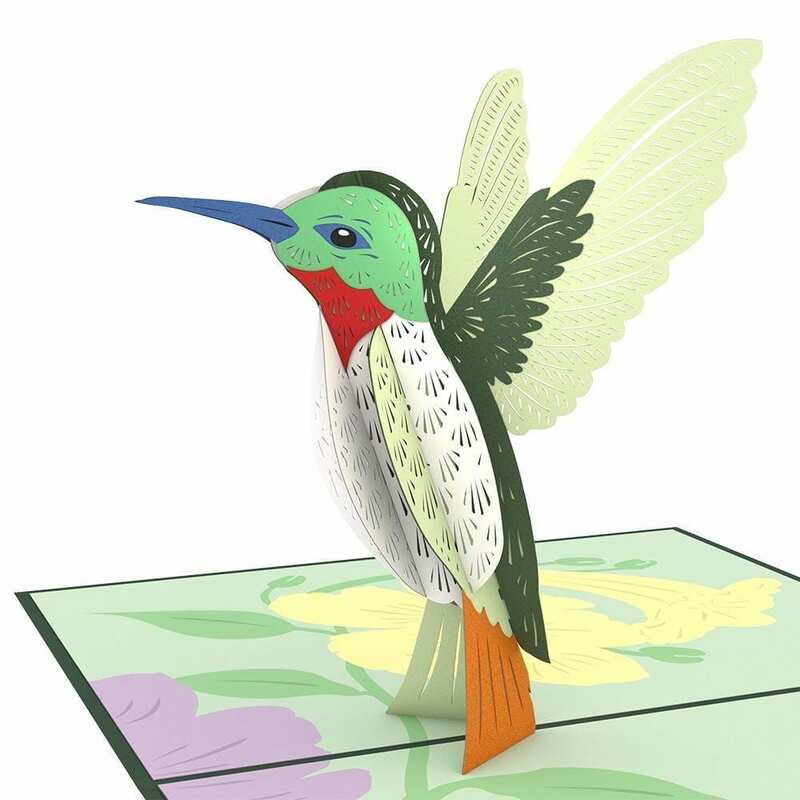 Once opened, an intricately designed and colored hummingbird reveals itself suspended above light green panels with wings outstretched behind its back. 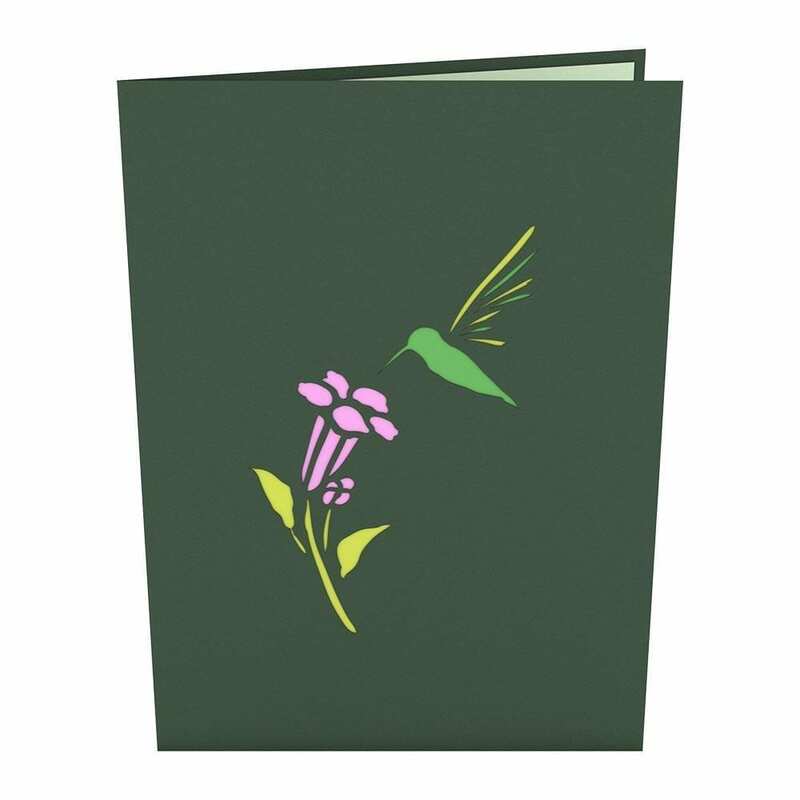 The Hummingbird’s head has a blue beak, lime green face, red throat, and dark green crown. The bird, hovering over yellow and purple flowers, also has light and dark green wings, a white belly, and orange talons.